Taking Orders For The 2019 Growing Season Now! We Pride Ourselves In Providing High Quality Bulbs! Thank you for visiting Florida Boys Caladiums. We are located in Lake Placid, Florida, the “Caladium Capital of the World”. We are fourth generation caladium farmers so we have plenty of knowledge in assuring that you will receive a high quality product. Our parents, Jason and Sandi Holmes, are creating this business in mind to build it so by the time we are in high school it will keep us busy and hopefully out of trouble. 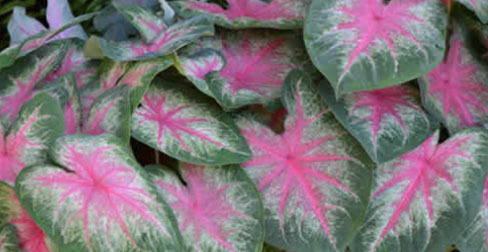 Our parents started wholesaling caladiums in 1999 so they are very experienced in what they do. Under their watchful eye they will help us learn what it takes to make a customer happy with our bulbs. Our dad works in the fields and the packing barn while mom will take care of the office and help packing of the orders. We look forward to hearing from you. We will gladly work with fundraising opportunities be it for a church, schools or clubs. Copyright 2018 © Florida Boys Caladiums All rights reserved.